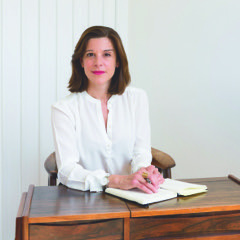 Elspeth Finch, founder and CEO of Indigo& is awarded Member of the Order of the British Empire (MBE) for her services to engineering and enterprise in The Queen’s Birthday Honours. She is one of only a handful of British women to be honoured in this way. Elspeth started her first business, Intelligent Space, at the age of 24 and sold it to Atkins a FTSE 250 global infrastructure company in 2007. At Atkins she held numerous operational, commercial and leadership roles before being appointed innovation director for the Europe region in 2014. In 2013, she was awarded the Royal Academy of Engineering Silver Medal for her personal contribution to UK engineering. She was invited to chair the Royal Academy of Engineering’s new forum the Innovators’ Network a space for large and small companies to exchange ideas and drive innovation in engineering forward faster. She is also a member of their diversity and inclusion leadership group and a judge on the Launchpad and Future Engineers competitions that help young engineering entrepreneurs turn their ideas into successful businesses. Her 18 years’ experience in the engineering industry made her realise that technology could transform the way that companies collaborate. In 2016, she founded Indigo&, and they recently launched their digital platform. Indigo&’s platform simplifies the way that large organisations work with their supply chain, opening it up to new players and driving growth in the UK. “I am delighted to receive this award but I have not done this alone. I have been really privileged in my career, I have had great mentors, and opportunities that are not open to all. If there is one thing that I would like this award to achieve it would be for more people from a wider range of backgrounds to think that engineering is for them, and to encourage those of us in the sector to look more widely when looking for talent”.